Hopscotch is ALIIIIIVE with the Kindergarteners at Mimsey's school. It's not just the girls either, at her school it's an activity for the boys too! They don't play exactly by the rules (give 'em a break, they're 5) but they LOVE throwing the markers even if they don't exactly know why they're doing it. Unfortunately, unless a someone brings markers (one super cool dad at her school let them use his keys once *shocked face*) they don't get to do it too often. I looked into getting some Chinese Jacks, which was what we used when I was in elementary school. Do you remember them? Little plastic rings that we hooked together to make a donut shaped marker (and necklaces, earrings, bracelets... they were pretty awesome!). I found a package of 200 rings on Amazon for $30 and almost fell out of my chair... That package used to be $2 at the drugstore (and a loaf of bread only cost a nickel, and they paid YOU to haul the gasoline away...). 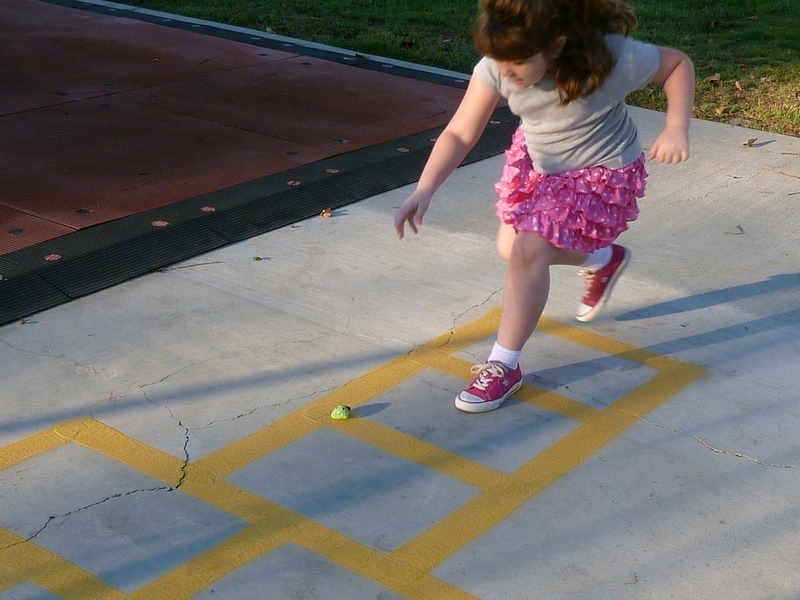 200 rings would make about 5 hopscotch markers, so the cost was just not worth it to me. But it did make me think that I could make something else they could use. Fasten off. Leave a 5" tail. 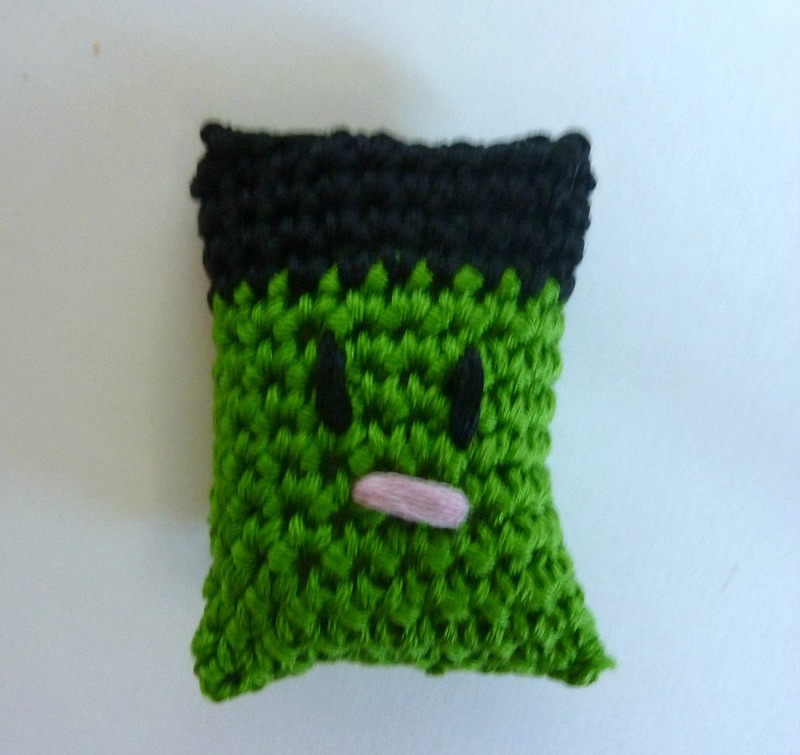 Using a small amount of pink embroidery floss, add a mouth to the front. 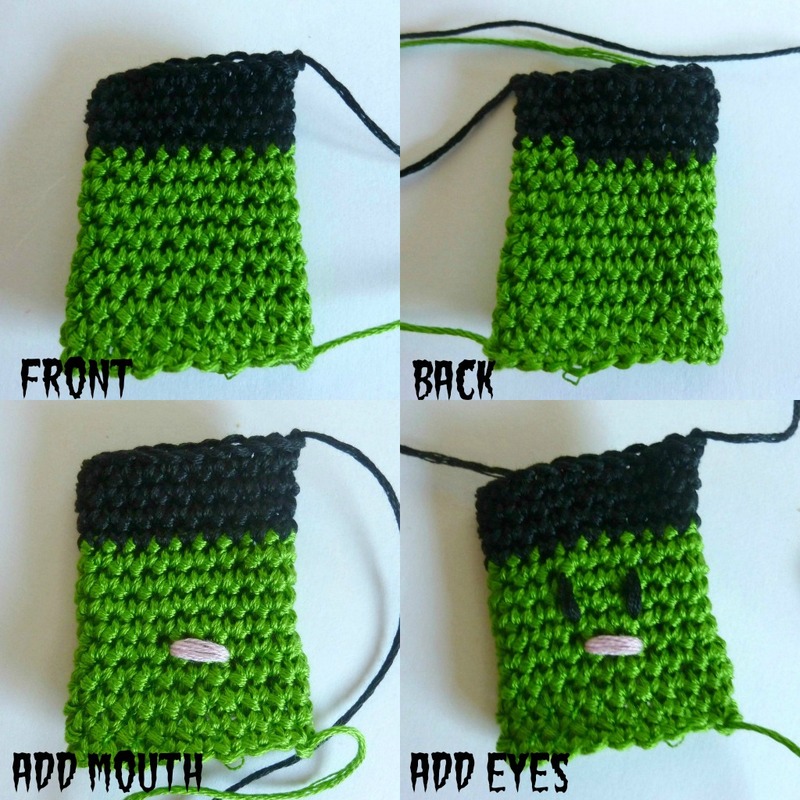 Use black embroidery floss to add the eyes. Now you can sew the bottom of the head up! 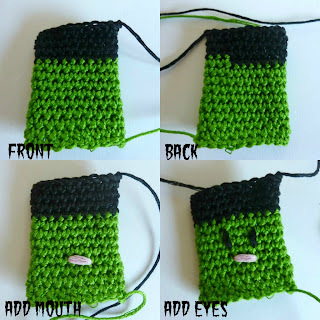 Use a whipstitch to close the bottom. 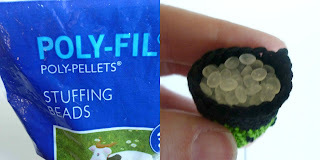 Add the poly-pellets! It won't take very many. Then you can use the tail end that you left when you finished the hair to whipstitch the top of the head closed. You're done! Take them outside to play! We always used rocks for our markers! :-) Shows how old I am! Hi Charlotte! We looked around her playground for rocks to use, but all we could find was one teeny pebble. It was pretty sad... LOL!! These are seriously cute. I used to love playing hopscotch! You could make some dark brown tubular ones and make them look like Mr. Hankie (from South Park, not that I'm a big southpark fan but Mr. Hankie was a cute poop) too, hee hee. Hi Sylvye! I'm glad you found me too! They are a great 'just because' project! OH=MY GOODNESS!! 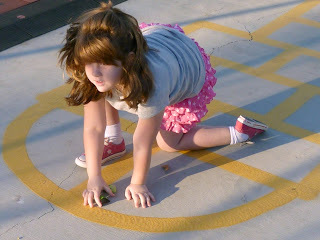 I have a little fellow who loves to hopscotch in our driveway. I grew up playing with rocks. Yeah, not happening next to my van! So just this morning I crocheted him a rock to hoipscotch with! I may have to make him one of these, too! Hi Dawn! That's so cool! 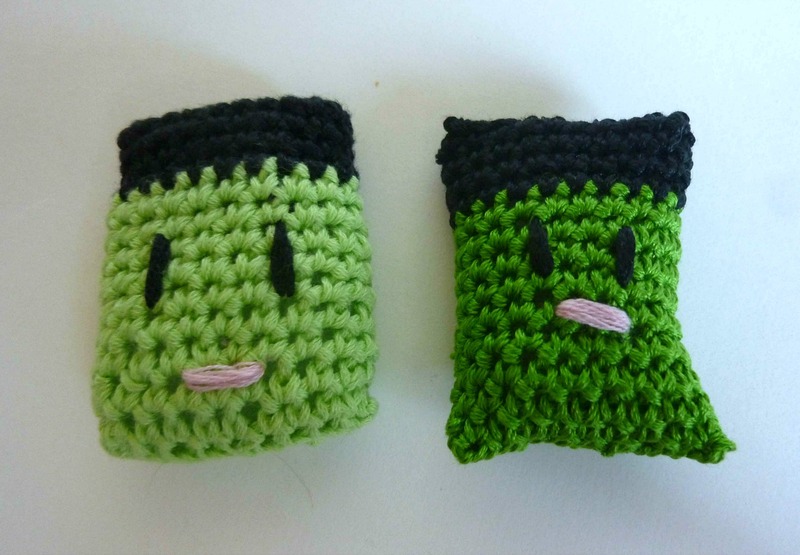 The best part about crocheted rocks (or Frankenstein Monster heads) is that they can be an indoor toy too. Mims always wants to bring rocks home, and is so annoyed when I don't want her to bring them in the house. 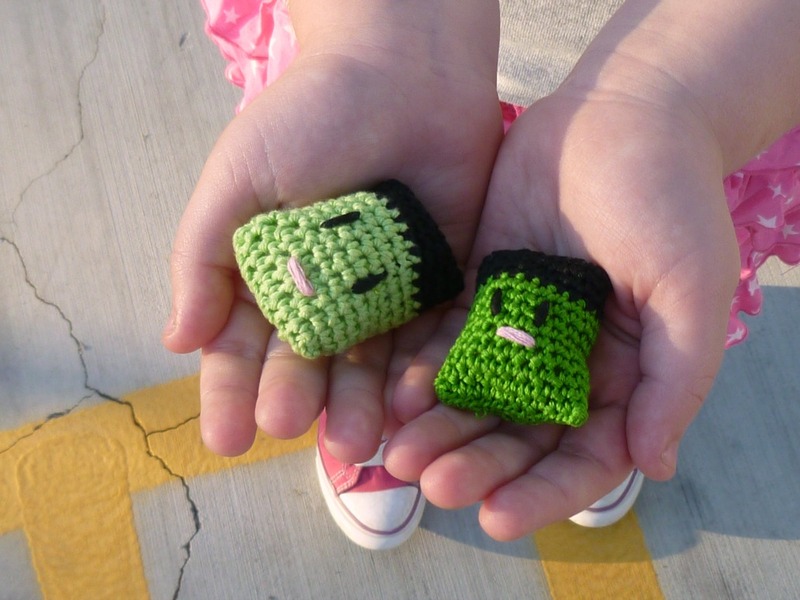 With a crochet version, the fun doesn't have to stop when it's time to go inside. Ah the legend of my childhood precedes me! LOL!!! A gift for my besties!